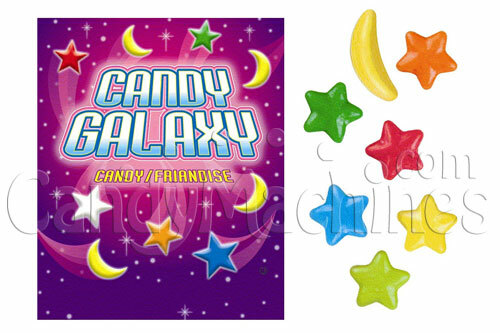 Take a trip to a galaxy not so far away that's filled with fruit flavored candy. These pressed powder candies were made not only for vending in candy machines, but especially for your mouth! 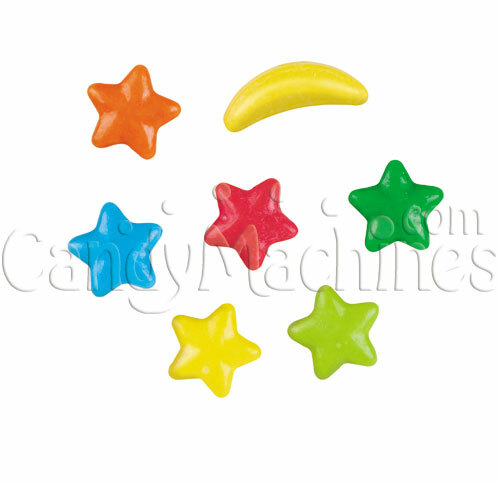 Their smooth coats shine like the stars and will attract attention in any candy vending machine. They come shaped as colorful stars and crescent moons. This mix includes Lemon (Yellow), Orange (Orange), Cherry (Red), Lime (Dark Green), Apple (Light Green), Grape (Blue), and Banana (Yellow). Need a machine to vend these fruit flavored candies? 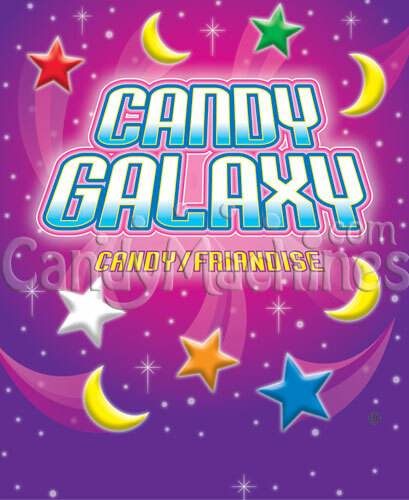 Be sure to see our full line of candy vending machines. Size: 1/2 inch (Stars) and 3/4 inch (Moons) approx.